Seems like many people are writing books on the Camino. Here's an email that I have just received asking for really personal information. I'm writing a book about our peregrination. Very, very good time !!!!! So, I would like to know a little more about you. Personal data's: Name, date of birth, nationality, actual address and anything more that you believe important. 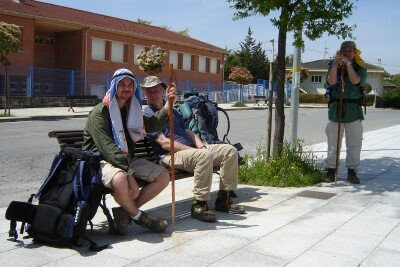 Why and when you decide to make the "Camino" (way of Santiago)? What was very important on it ? After did it, how are you feeling about? Are you thinking in another peregrination ? Of course you will answer what you want and "if" you want, and in both cases I'll be happy. I have pointed him to this blog. I hope he finds what he is looking for. I had thoughts too about writing a book on my Camino. But after creating this blog, I don't think I will have much more to add (so far). I believe that there are already too many books written on this. Unless, you are writing it from another angle. Maybe things will be different after I walk my next Camino. If I do write one, it will probably be in an electronic form (pdf?). We'll see. One of my pictures from the Camino. 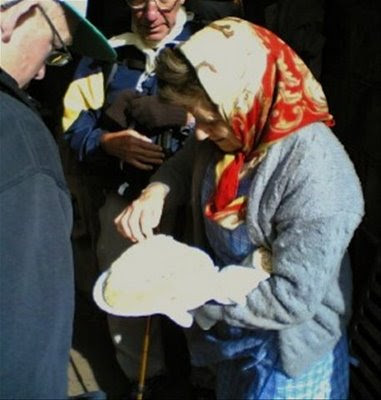 A lady dispensing crepe with sugar for pilgrims somewhere in Galicia. * Crepe is not free. Shoot Better Travel Photos With These 5 Essential Travel Photo Tips. Seems like I had used all the tips from this article during my Camino except the outdoor flash as the camera on my mobile phone has no flash.